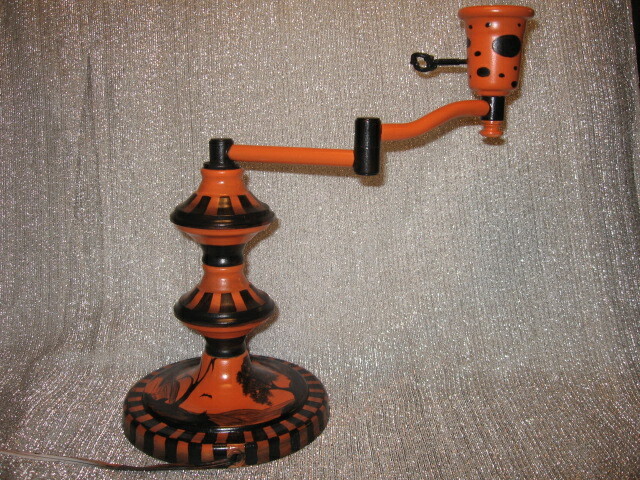 This vintage metal lamp has been completely redone in traditional Halloween colors of orange and black. 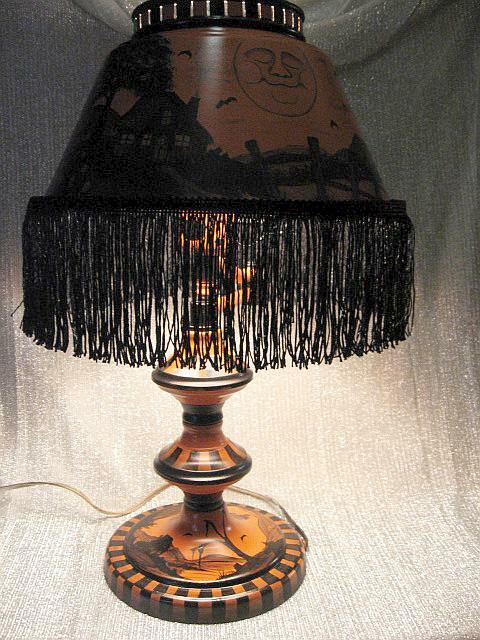 The designs on this lamp are completely original (and copyrighted!) 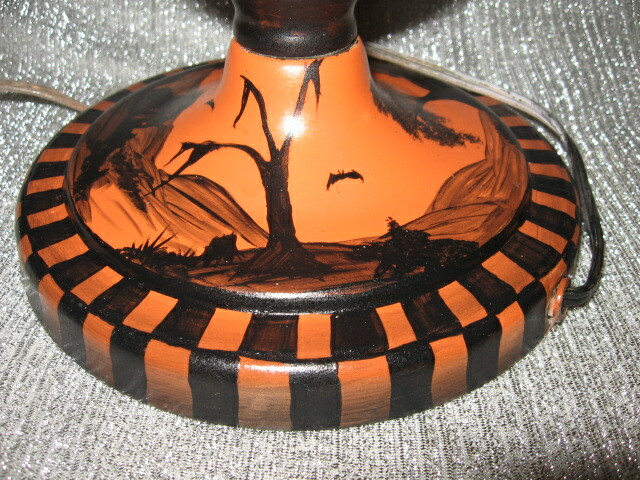 The 360 degree scene is done with my signature painting technique. 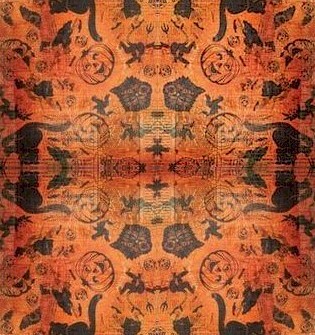 I have pulled inspiration from a variety of sources to create this unique type of painting. 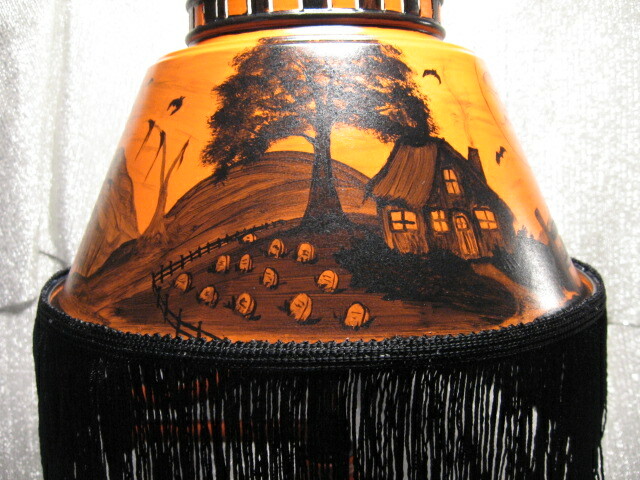 It is reminiscent of the old New England Folk Art scenes found on the walls of many homes. Only, here, instead of lighthouses and saltboxes, you find witches, tombstones, and little haunted cottages scattered over the rolling hills of farmland and eerie swamps. 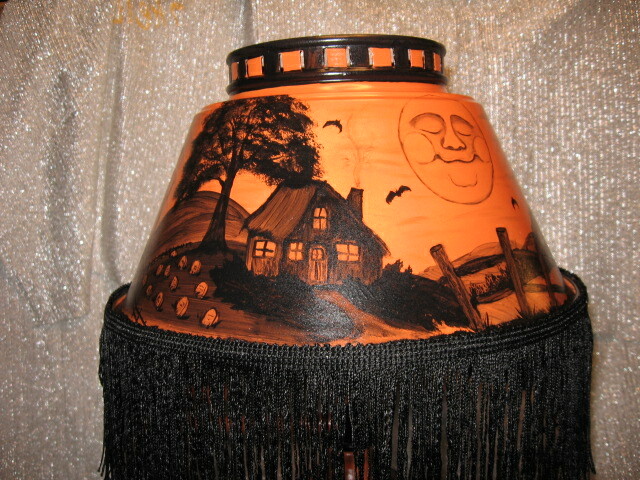 The scene on the shade shows a creepy little cottage lit by the moon. 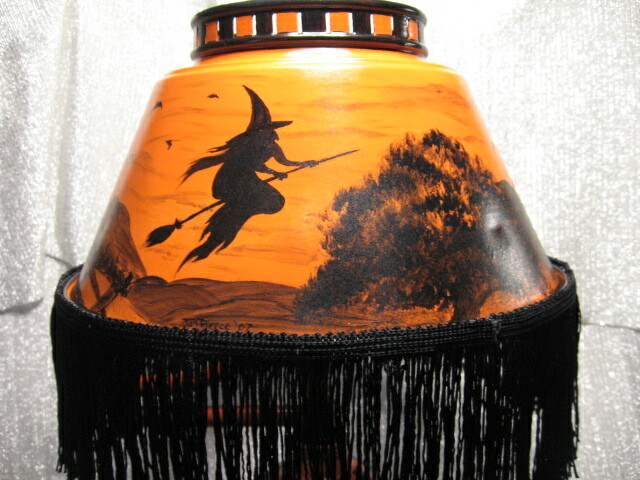 A few bats swoop over the nearby swamp, and a lone witch rides her broom above the treetops. 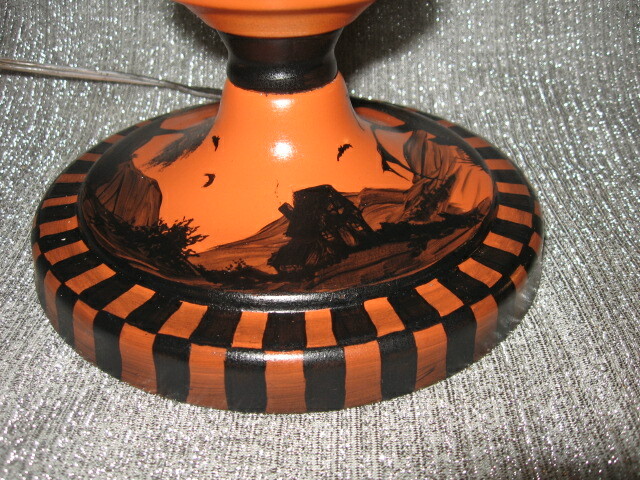 The lamp base is decorated to match with a black stripes and another 360 degree scene. 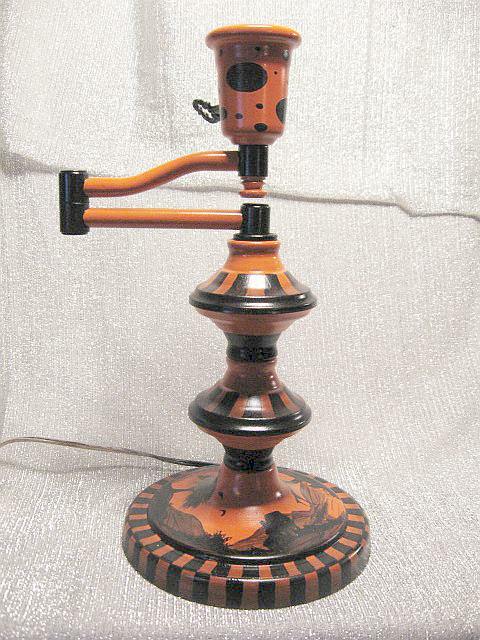 This table lamp has a folding arm that lets it extend out - great for reading. It has been trimmed in long black fringe. 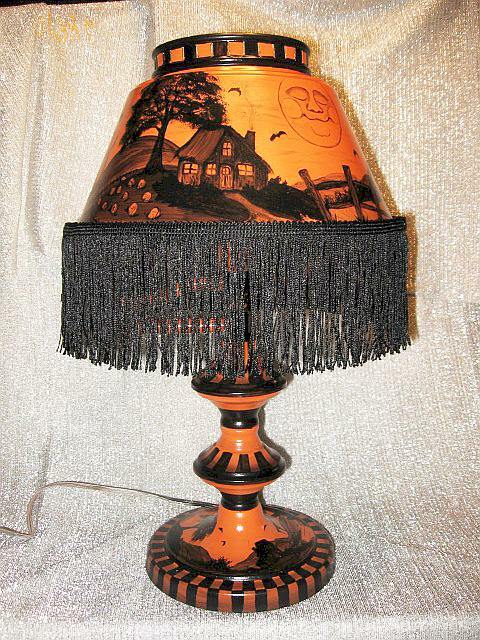 All ORIGINAL DESIGNS are hand painted and created by me - they are not just old post card images passed off as original works of art! 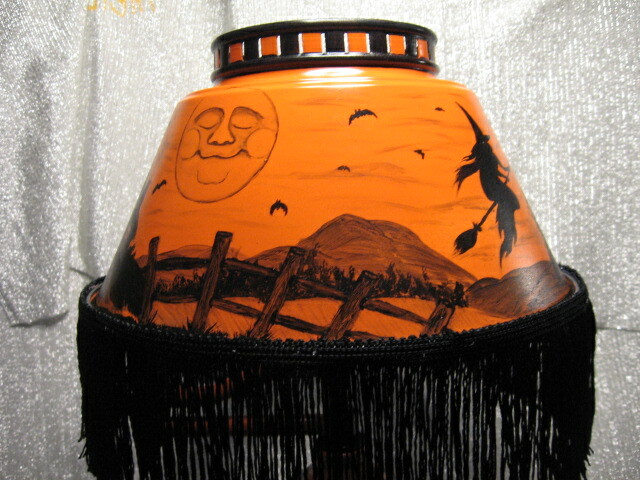 All work is freehand, no stencils, paint pens or markers are used! All paint has been sealed for durability. 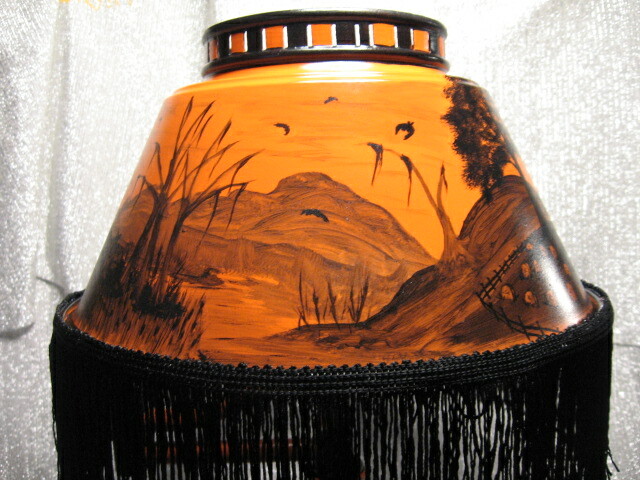 This lamp has been sold, but more will be available as I find and paint them. 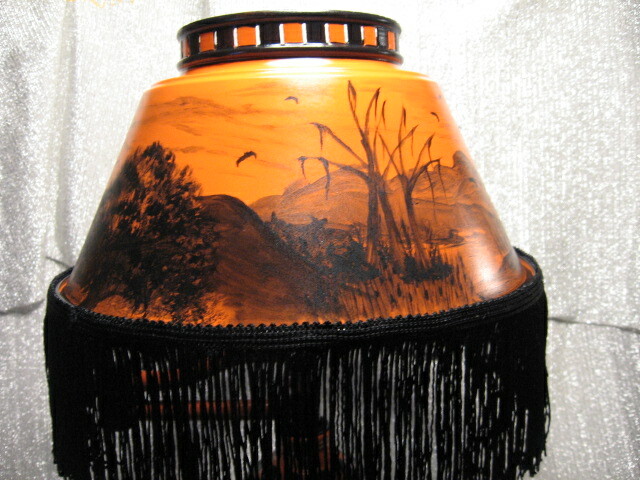 We accept credit cards and checks through Paypal and money orders upon request. We ship in the US only (except Alaska and Hawaii). Please don't email us to ask for international shipping - at this time, we are unable to provide this service. Shipping is by UPS only. NO PO boxes, we need a street address. Shipping is figured during checkout and usually ranges from 8.00-25.00 depending on weight of the items. 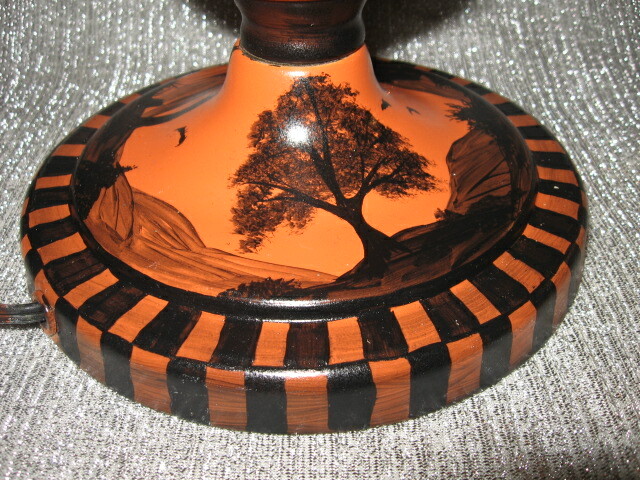 Additional shipping may be required on very large or heavy items - if so, it will be noted in the listing. Insurance is included.